I just got back from travelling, and have been playing catchup: both in actually flipping through mags and in shoveling the quicksand that is my RSS feeds. It’s trimmed some fat, which is nice I guess. That it’s weekly is, for me, terrible. 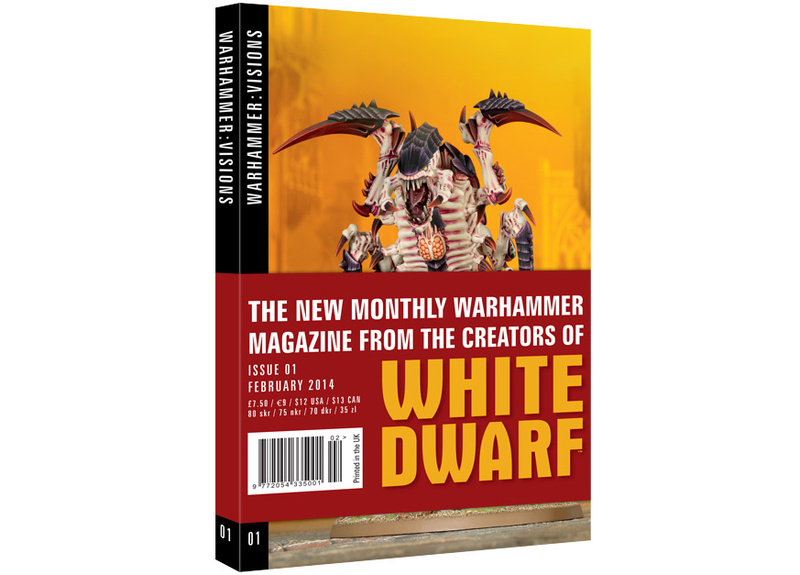 For me, White Dwarf died when they made it punitively difficult for folks to subscribe to, effectively requiring people to go into the store to buy it. Hell, I still have a coupon for White Dwarf left in my wallet; I’ve missed the past 5 or six. That they’ve got this expectation I’m going to screw up my commute every week to pick this is up is very much wrong. It’s also more expensive. $4/week gets us to $12 (with the occasional $16) / month, up from $10. I, like many folks, will probably pick it up when it looks interesting, and not bother 80% of the time. I’ll also probably buy it digitally when I do. YES. This is what I want. 200 pages of glossy miniporn. That’s basically all I can say. A smallish, thick volume of high-quality pictures of gorgeous minis that I can turn to for inspiration and ideas. If I have one complaint (and it’s only one, and trifling): what little text is there is awful. Because it’s translated into three languages, it’s simplistic to the point of being useless. Look, if that’s all you’re going to say: don’t bother. Make the pictures bigger. Anyway, I’m hot for Visions. I’m subscribing. This entry was posted in Warpstone Pile on 2014-02-09 by Rushputin.